This is based on this talk. Still far from a complete implementation, but the basics are there. 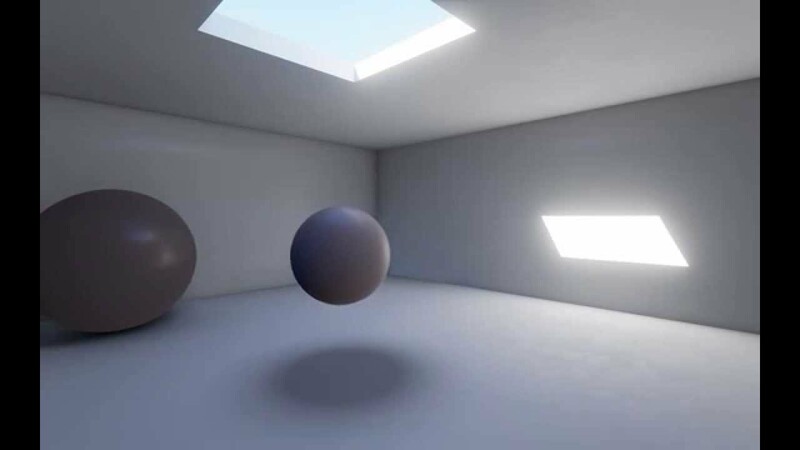 how diff is this compared to the Ray Traced Distance Field shadows ue4 uses? Last edited by Bladerskb; 02-15-2015, 02:33 PM. This effect is much more comparable to distance field AO. I also believe distance field AO doesn't work in certain situations with skeletal meshes, you could use this technique to fill those gaps. Wow this is awesome! Keeping an eye on this one. Thank you Arnage!! If you can get it working with animated meshes + good performance I would gladly pay for your solution. The next step is to generalize the system to work with ellipsoids instead of just spheres, which is an important step towards getting it to work with characters. This looks fantastic! Looking forward to seeing more. Cool! !, would you have a side by side comparison of the original + your approach? I did hit quite a roadblock though. I build the initial prototype as a material function that is added to the ambient occlusion input of a material. This works great for a quick test scene with few objects and materials, but it does not scale well at all. Instead I wanted to implement the shadows as deferred decals, but it seems like those not only can't write to the AO buffer but the decal material also can't access all the surface properties I need to calculate the shadows. It is looking good. Any progress? Skimmed the paper you posted an I am curious. So the last of us setup said they mapped a bunch of spheres onto the character and used that. I guess that means each screen pixel needs to trace against every sphere for an intersection? *edit* ah it doesnt actually raytrace to hit the spheres but rather knows analytically how much they occlude based on size/distance. that makes sense. very neat trick. And then they eventually skip the analytical step by baking the falloff to a texture. Did you get to the texture baking step yet? Last edited by RyanB; 05-29-2015, 05:03 PM. I believe The Order used a very similar tech for occlusion and dynamic character reflections for the main character.